The mission of the UNK Employee Health and Wellness Program is to provide an organized program intended to assist employees in making positive voluntary behavior changes. Reducing health risks and enhancing individual morality will create a positive, health work environment and community. After five years, we’re saying “so-long” to the Spark16 newsletter and making way for a new, more-dynamic wellness publication tailored exclusively for the needs of our employees. 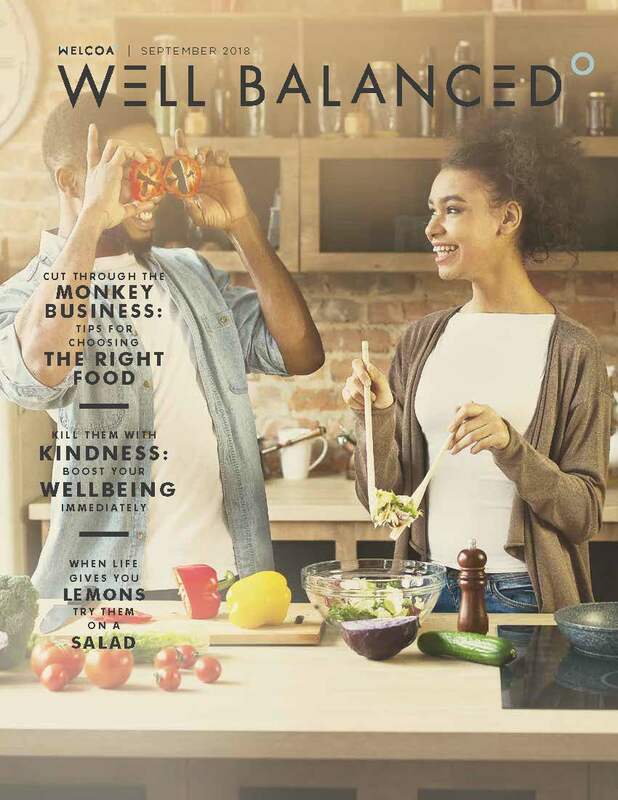 Well Balanced is an 8-page, full-color, fully-illustrated newsletter that is science-backed, hype-free, and centered on helping readers thrive in work and life. We’re sourcing new holistic wellness content from various experts around the country to take the guess work and confusion out of wellness messaging. Month after month, you can expect to receive essential information you are interested in—at the same time we’ll be helping to create a healthier culture within our organization. The first issue will be sent in September. We would like to remind benefits eligible employees about one of the benefits available to you and your dependent family members: the Employee Assistance Program provided by Best Care. The benefit is twofold: short-term counseling and access to the Best Care website. Contact Human Resources at 8516 for login information. Go to www.nebraskablue.com/mobile where you'll find mobile sites, free apps and resources to stay healthy and connected.